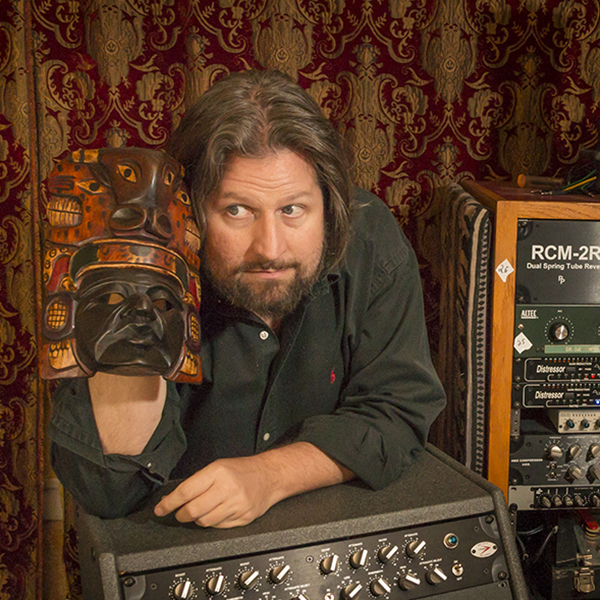 Ronan Chris Murphy is a producer, engineer, mixer and mastering engineer with a discography spanning hundreds of albums. Some notable credits include GWAR, King Crimson, (several albums), Ulver, Steve Morse, Chucho Valdes, Terry Bozzio and many more. In addition to his album work he also works in various media. He was an audio lead for the Microsoft Network and has work worked on the recording, mixing, and/or mastering for game titles such as Mafia III, Yoku’s Island Express and Assassins Creed Brotherhood. Ronan has also spent much of the last 20 years as a pioneer in alternative audio education. He created one of the first one week recording recording workshops, he was the worlds first “audio blogger” with the creation of “Ronan’s Recording Show” and his company, Recording Boot Camp presents audio and music related workshops, retreats, festivals and masterclasses in the United States and Europe.